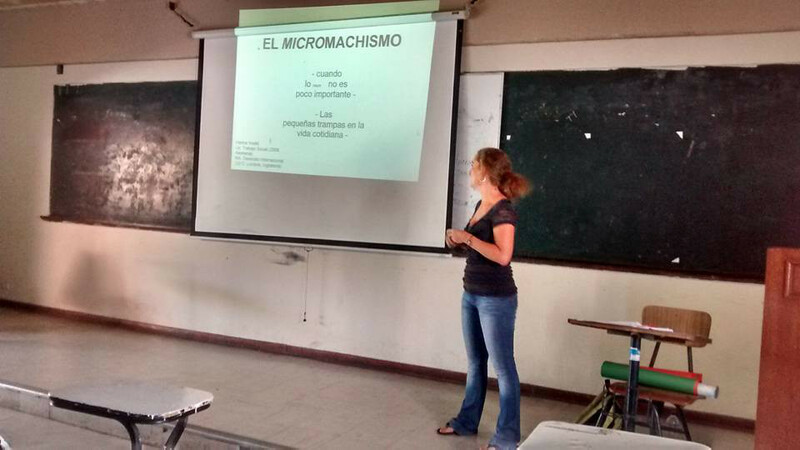 Violence against women occurs in different ways, with machismo (chauvinism) being a deep source of this. 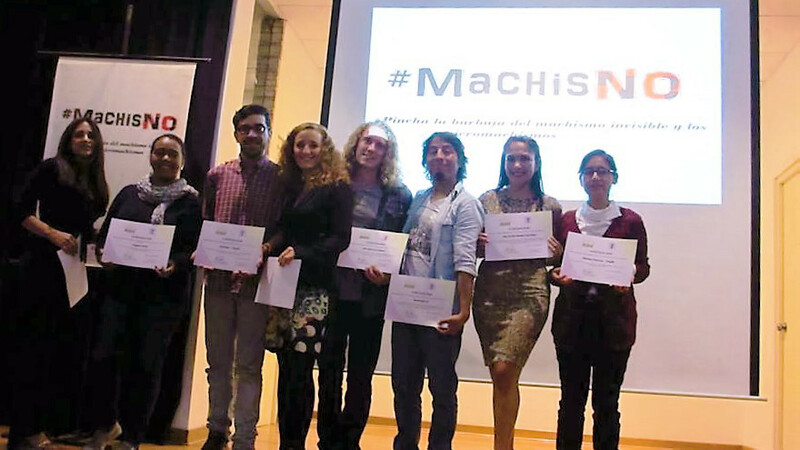 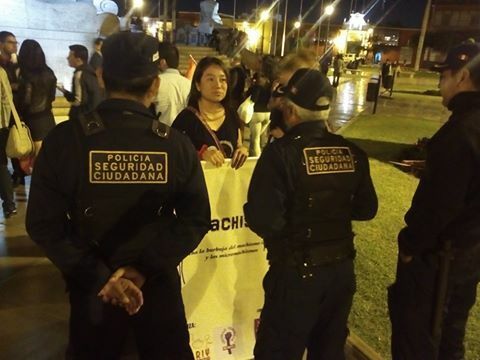 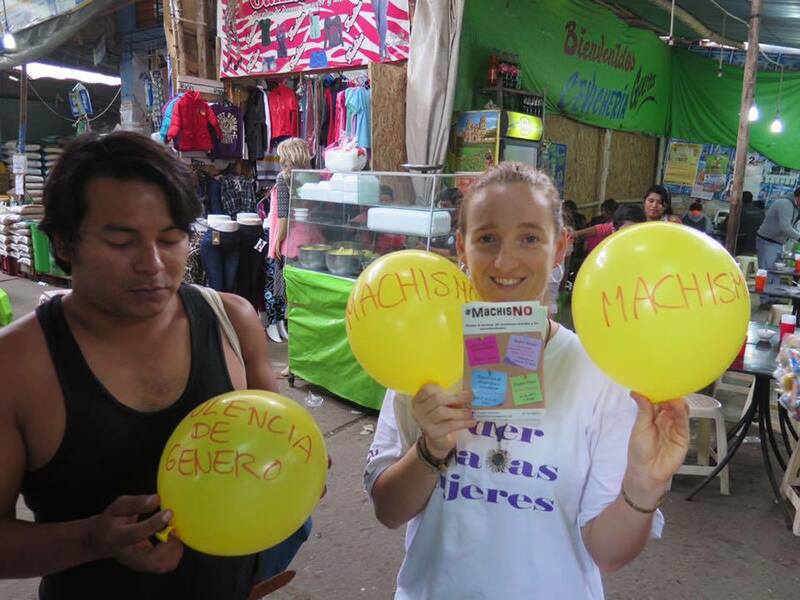 Therefore, during the months of May and June 2016, a variety of events were held to publicize the micro-machista behaviours that are often normalized in our society. 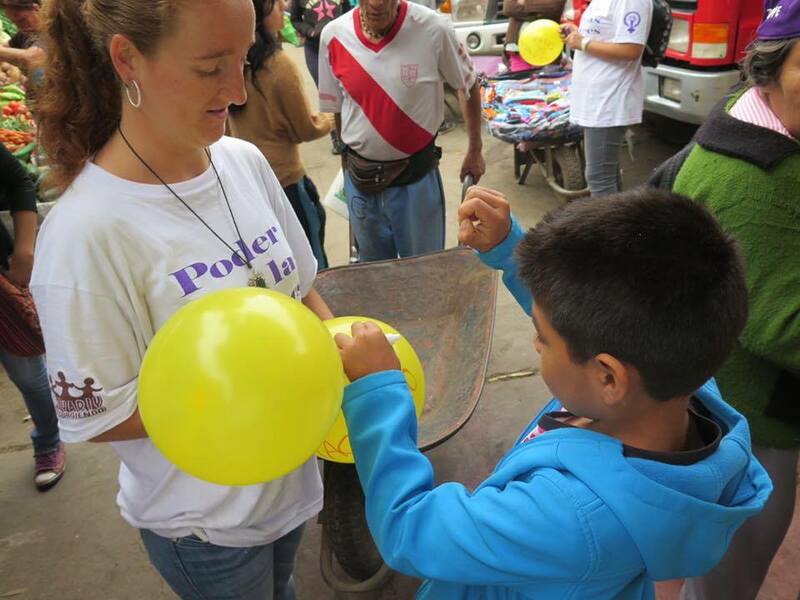 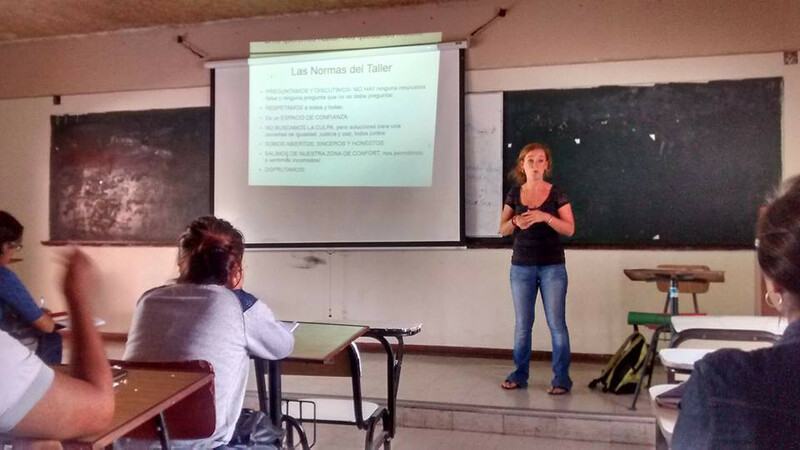 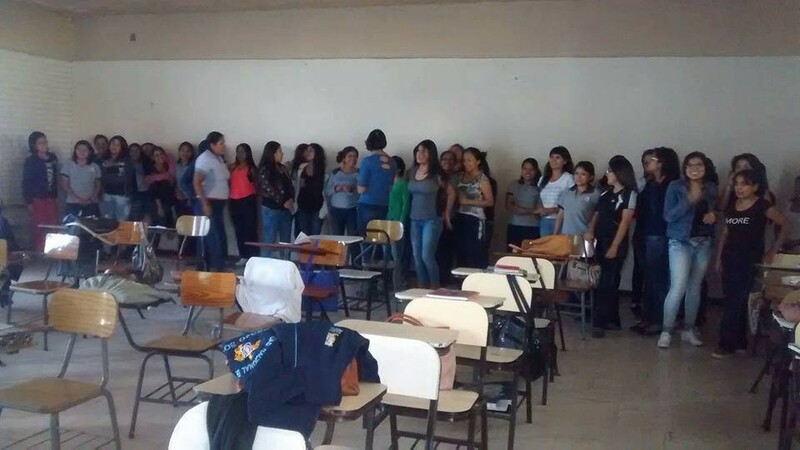 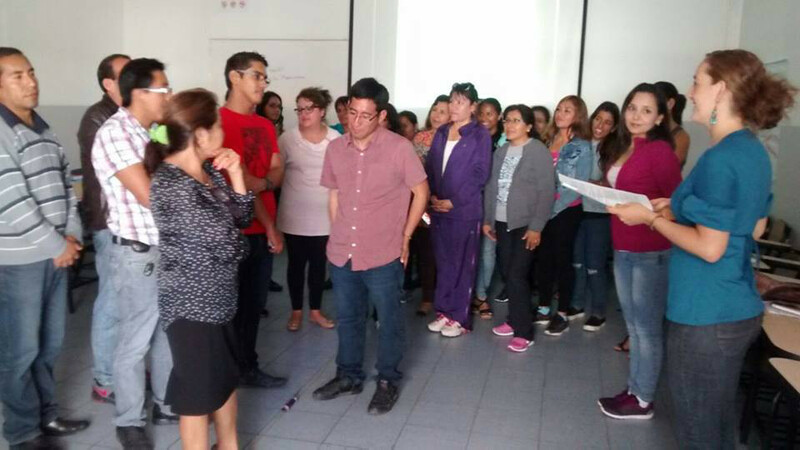 For a Trujillo without violence we have trained 470 people between the ages of 12 to 52 in schools in the furthest corners, schools in the city center, private and public universities. 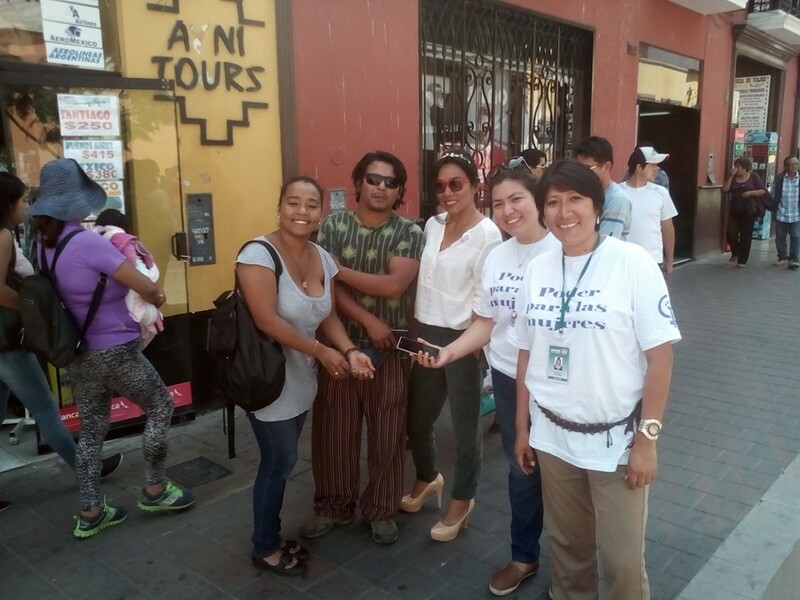 We go out on the streets to educate through social theater in the most popular markets of Trujillo, such as Hermelinda. 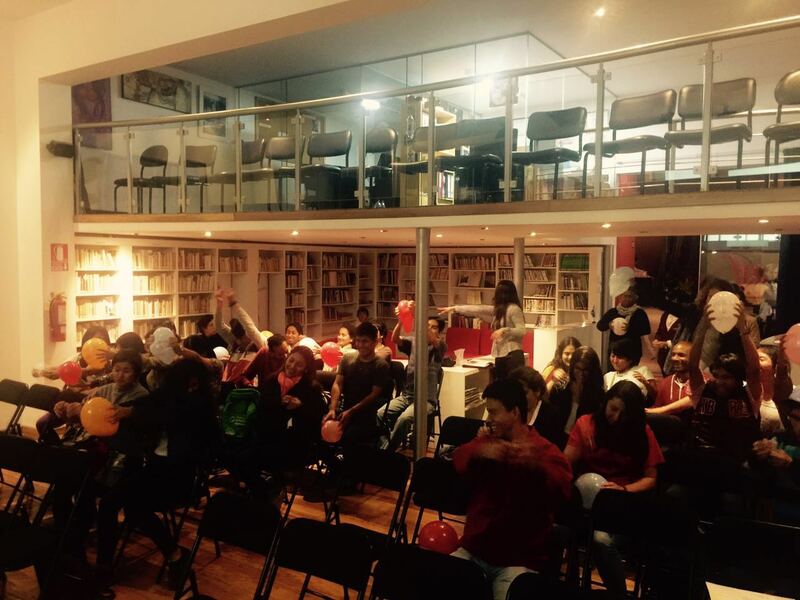 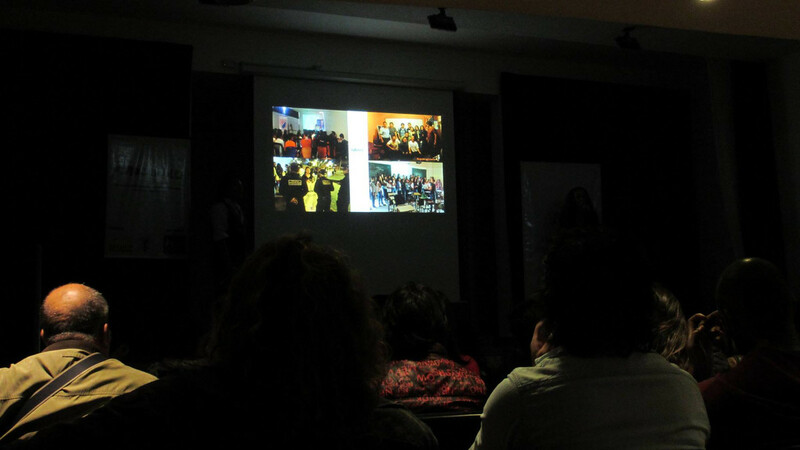 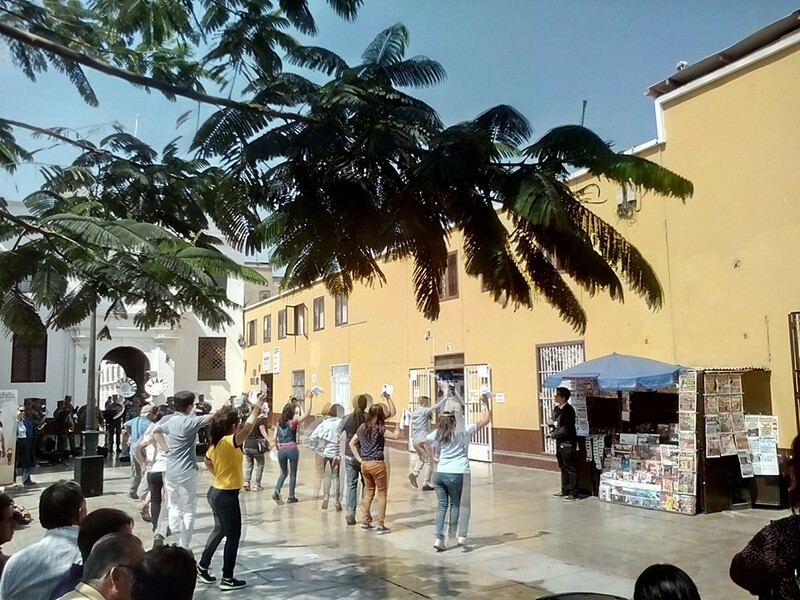 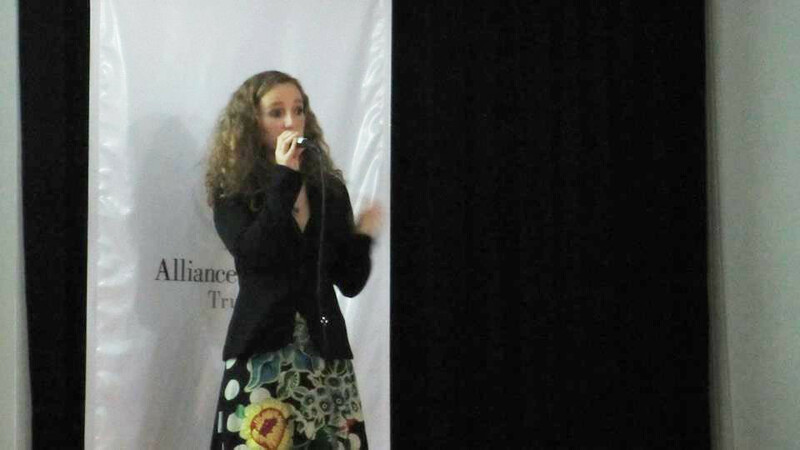 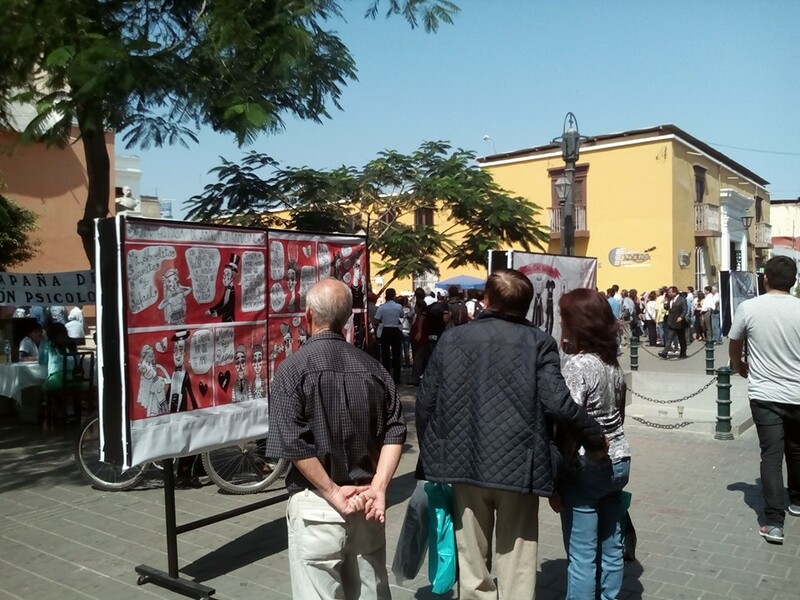 In order to reach a larger audience, we held an exhibition in the heart of Trujillo. 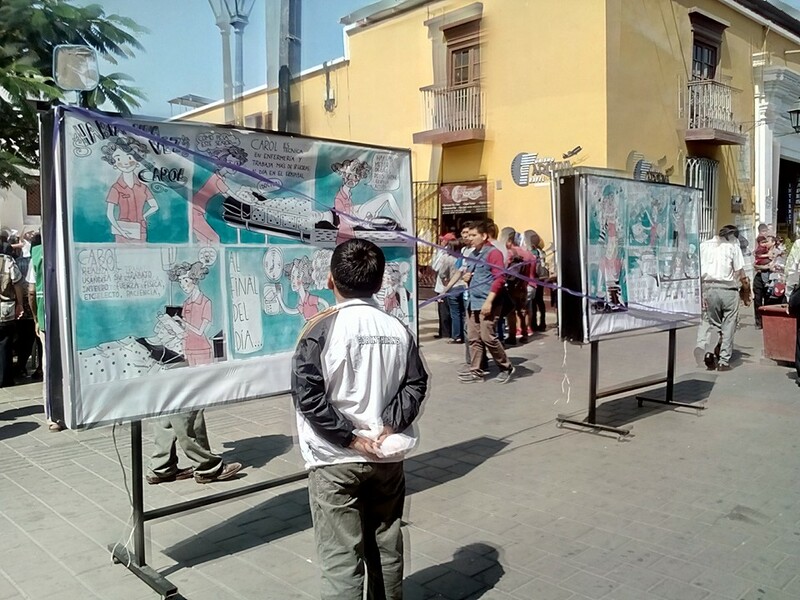 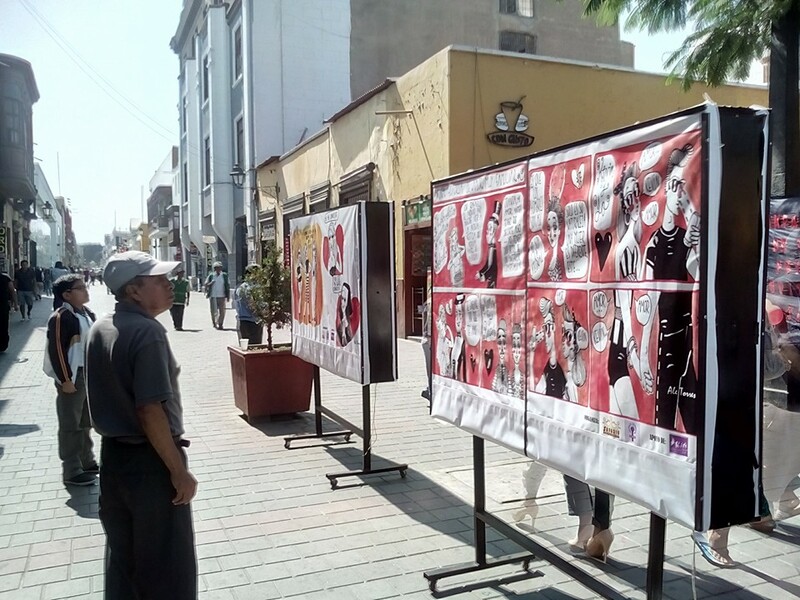 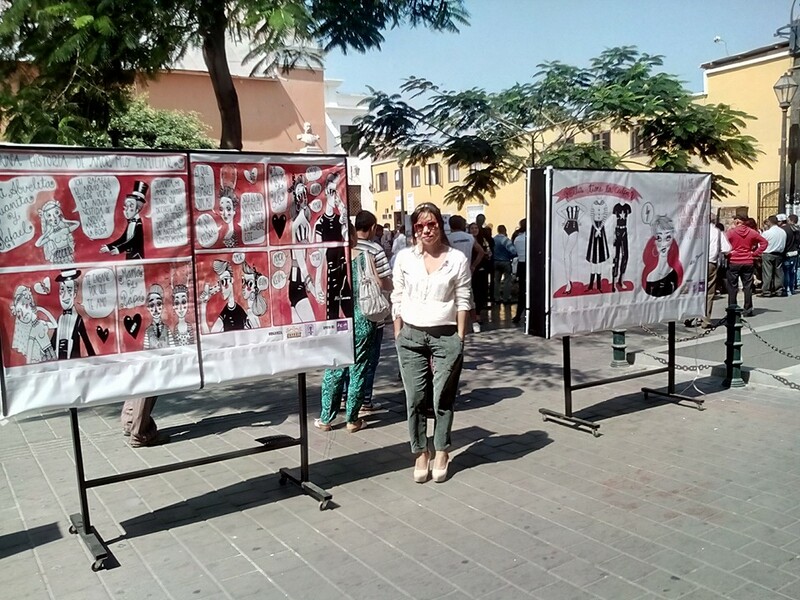 Through photography and cartoons, we organized an exhibition along Pizarro mall where approximately 1000 people could walk past and learn about micro-machista behaviours that are exercised daily and are acts of violence. 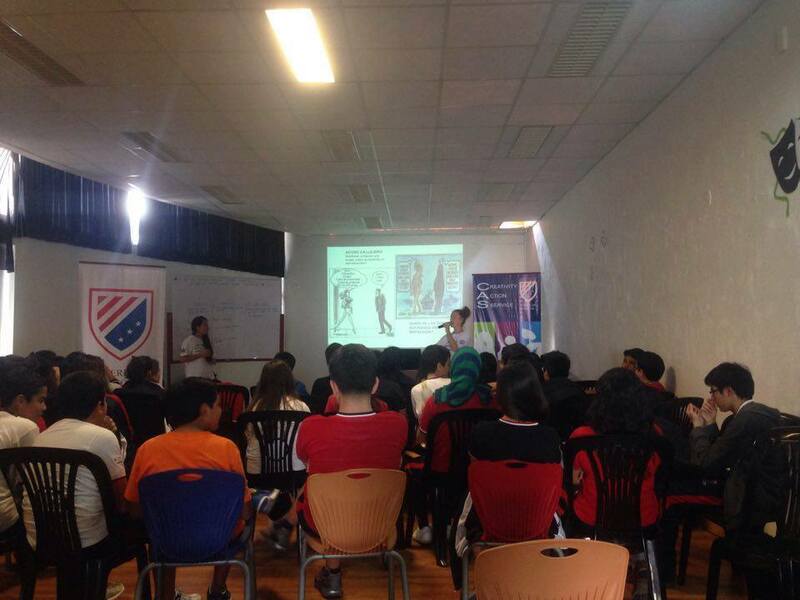 The close of these 2 months of educational work on the streets, educational institutions, universities and markets was on July 1st 2016 at the Alliance Française academy. 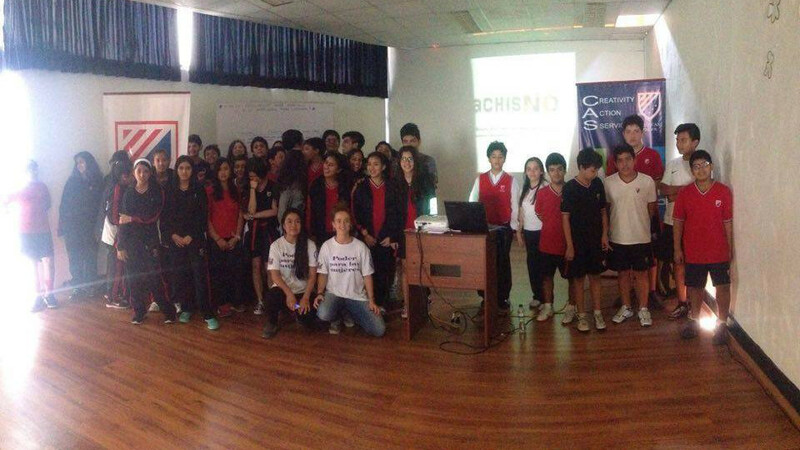 Thanks to our friends who participated. 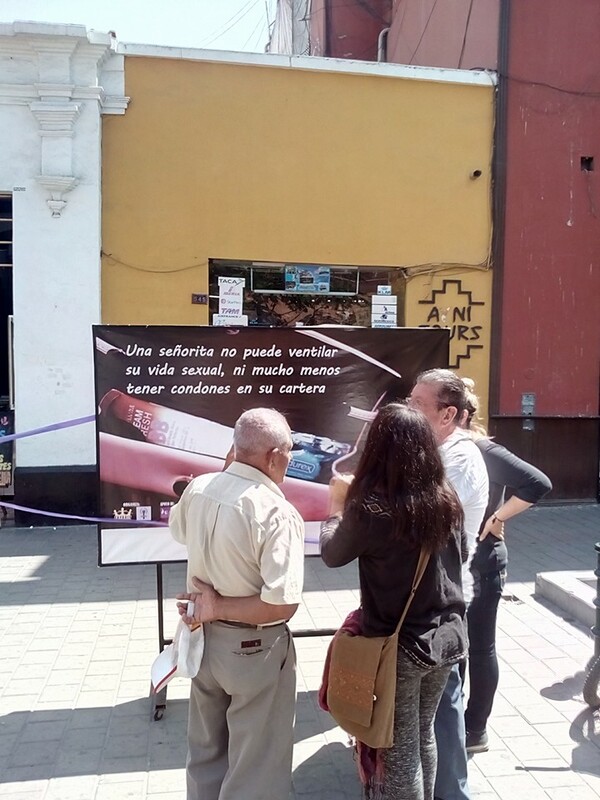 On this occasion, thanks to the initiative of our volunteer Hanna Voelkl, this project could be designed and undertaken. 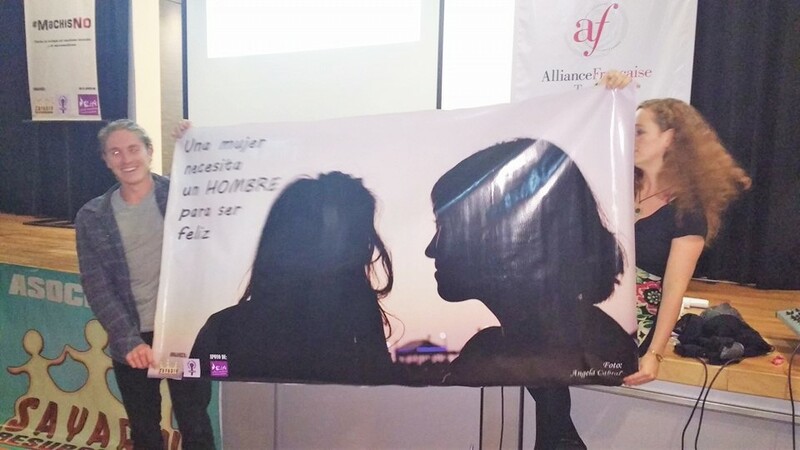 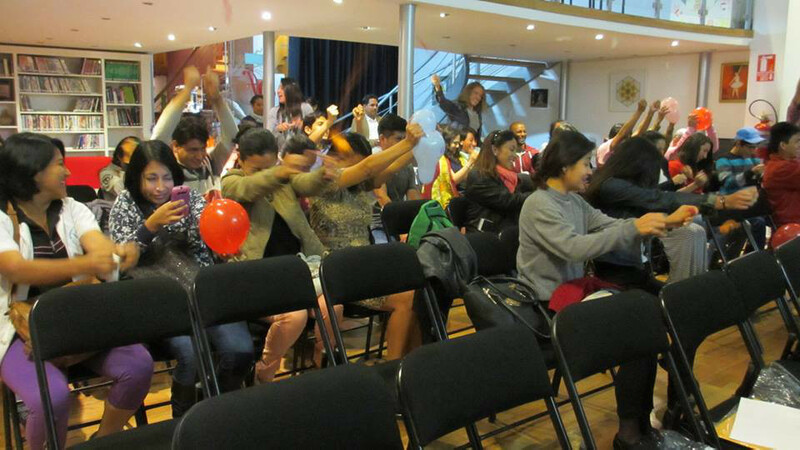 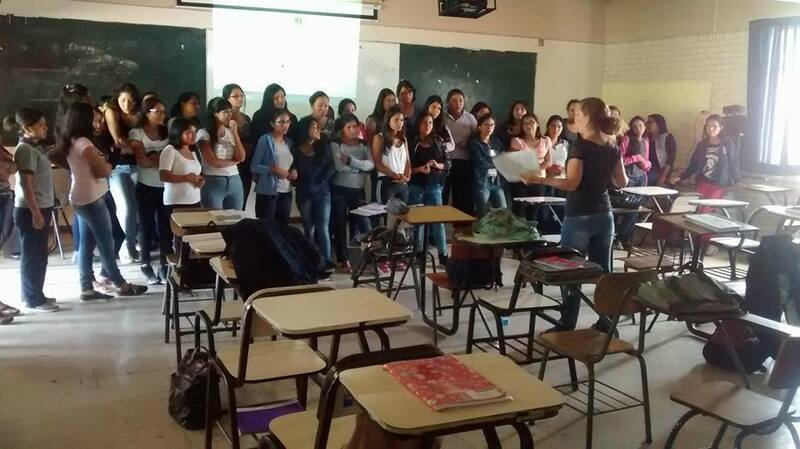 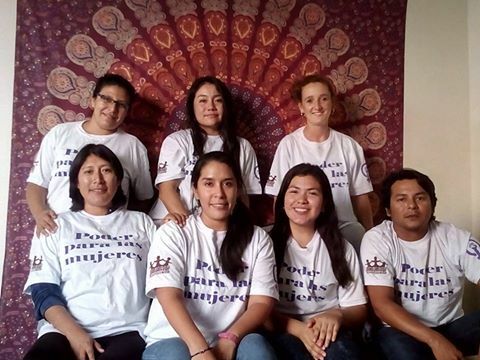 We have our group in the center of the city “Trujillo Feminista”, through which we work in a coordinated way with as many people or organizations as want to work against gender violence with a feminist approach. 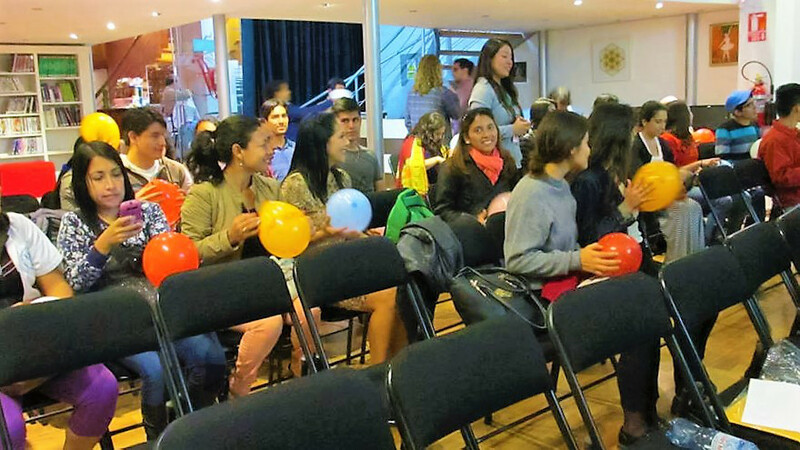 Those who want to collaborate in the development of a city that can live in equity and peace are invited to continue working.